The NT1065 is an all-in-one 4-channel global navigation satellite system (GNSS) receiver chip. It is highly versatile and can receive and decode multiple navigation satellites such as GPS, GLONASS, Galileo, BeiDou, IRNSS and QZSS. Being able to receive so many satellites, it is capable of centimeter level positioning. The team at Amungo Navigation have taken this chip and have created a product called the NUT4NT+ which is essentially a development board for the NT1065, and all the software for signal processing with it is provided as open source software. In the near future they are planning to begin fundraising for the product over on the crowd funding site CrowdSupply. One very interesting application that they have been developing with a device similar to the NUT5NT+ is a GPS Jammer/Spoofer detector system which they call the Amungo XNZR. This is a combined 4-channel GNSS receiver and 4-antenna GNSS antenna system built into a small package that fits onto the back of an Android tablet. When connected to the software it uses augmented reality (AR) to show you exactly where GPS jammers are in the vicinity by using coherent signal processing. If you're not familiar with AR, this is the technique of overlaying digital data/images on top of a live real world camera view. 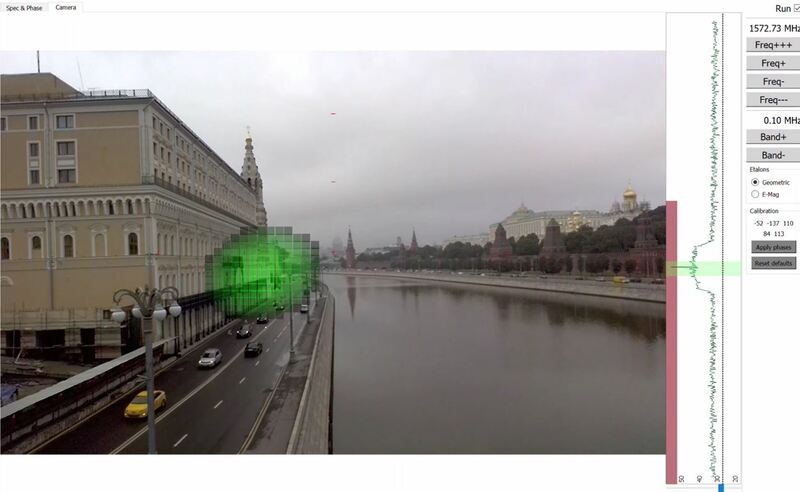 In the video below they take their XNZR detector to Varvarka Street in Moscow Russia and determine the location of a GPS spoofer in the vicinity. More information about their product can be found on their homepage, and on various interesting forum posts by someone from the company that detail some of their experiments. Note that the forum posts are in Russian, but Google Translate can be used to translate the text. 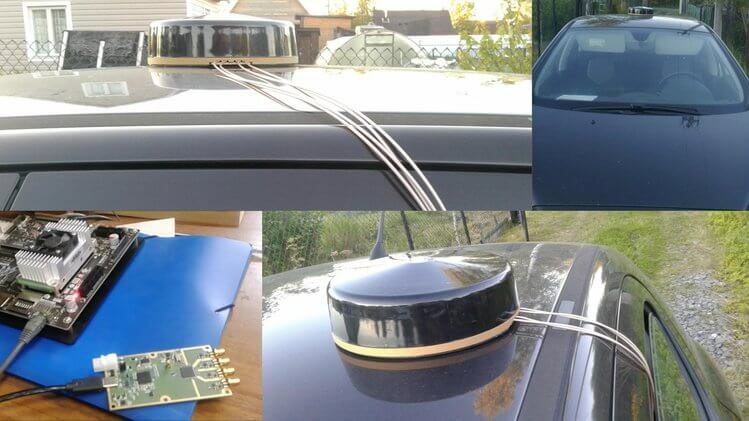 It’s been known for a while now that it is possible to break into cars using simple wireless attacks that involve jamming of the car keyfob frequency. Sammy Kamkars “rolljam” is one such example that can be built with a cheap Arduino and RF transceiver chip. One way to secure yourself against wireless attacks like this is to run a jammer detector. A jammer detector is quite simple in theory – just continuously measure the signal strength at the car keyfob frequency and notify the user if a strong continuous signal is detected. 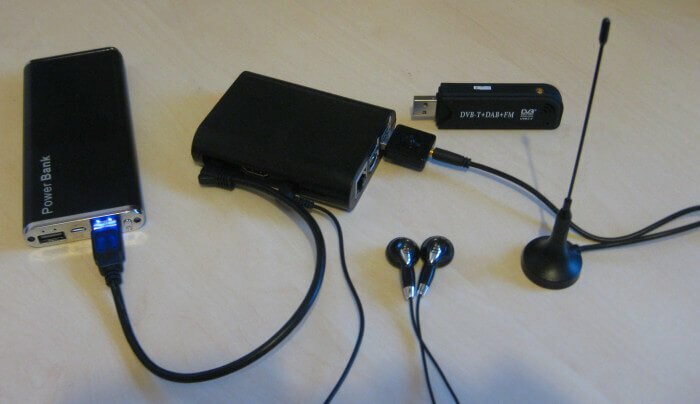 Over on his blog author mikeh69 has posted about his work in creating a wireless jammer detector out of a Raspberry Pi and RTL-SDR dongle. He uses a Python script and some C code that he developed to create a tool that displays the signal strength on an onscreen bar graph and also conveys signal strength information via audio tones. He writes that with a pair of earphones and battery pack you can use the system while walking around searching for the source of a jammer. Mikeh69’s post goes into further detail about installing the software and required dependencies. He also writes that in the future he wants to experiment with creating large area surveys by logging signal strength data against GPS locations to generate a heatmap. If you are interested in that idea, then it is similar to Tim Haven’s driveby noise detector system which also used RTL-SDR dongles, or the heatmap feature in RTLSDR Scanner. RTL-SDR + Raspberry Pi Jammer Detector.